CJ Duff locks down his opponent on defense. Fort Wayne, Ind.- The Western Illinois Leathernecks 11-12 (2-8) will take on the Fort Wayne Mastodons 16-12 (5-6) Wednesday at 6 p.m. The Leathernecks won the first match up in a thrilling overtime win. Freshman guard Kobe Webster hit the game-winning three with 1.1 seconds left. He also had his career high in Summit League plays with 24 points going 8-20 from the field, along with 17 coming in the second half and overtime. The Leathernecks’ big man, Brandon Gilbeck, had a strong outing going 6-6 with 16 points and 9 rebounds. The Mastodons are currently third in the Summit League, but have lost two in a row, with both games on the road. However, their home record is 11-1, respectively. Their only loss came from South Dakota with 68-58. The guard player for Fort Wayne is their strongest member. Led by senior captain, Bryson Scott averages 22.8 points a game, making him the second-best scorer in the Summit League. Junior guard John Konchar can pretty much do it all. Konchar is teh Mastadons best player. He leads the league in assists with 4.5, and steals with 2.8. He’s the best rebounding guard with 8.1, which places him third in the Summit League. He also averages 13.8 points per game. Another player to be in first in two statistics is forward Mike Daum, from South Dakota State. However, Konchar is the only player in the Summit League to be in the top ten in four different statistics. Western is coming off a 71-68 loss to Omaha last Thursday. They were outscored 41-34 in the second half, and blew a one-point lead with 29 seconds to go. 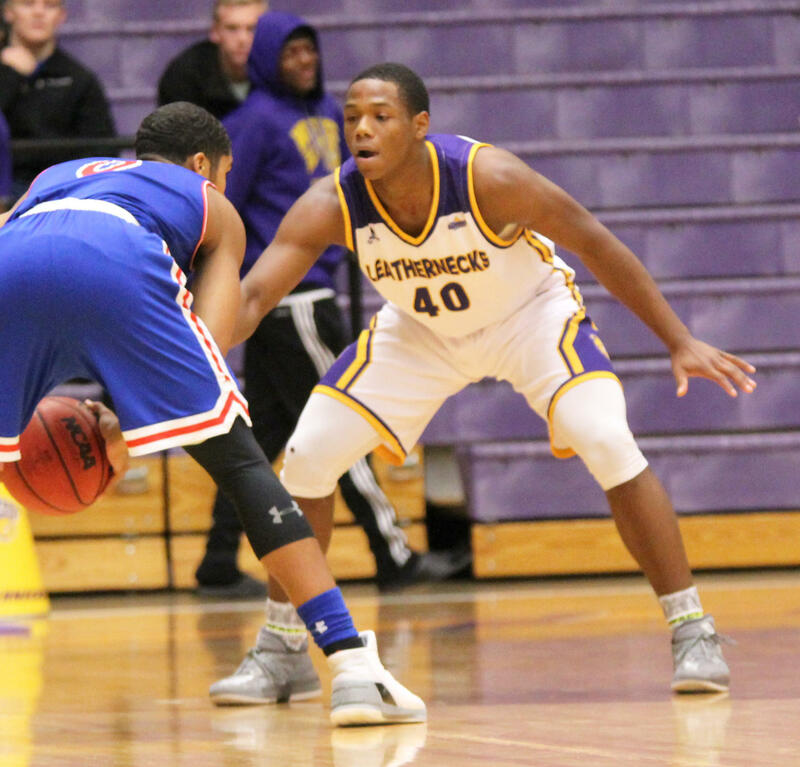 Webster led the way for the Leathernecks. He had 20 points, shooting 53.3 percent from the field. He also had five assists and only one turnover. C.J. Duff and Dalan Ancrum also scored in double figures. But at the end of the day it wasn’t enough for them to get the win. This was the second game in a row where Western didn’t trail by ten or more points in the Summit League. In the previous eight games, they experienced that deficit. They did not play this weekend, so the Leathernecks have had some time to practice for this late season match-up. The Leathernecks need to contain Konchar and Scott in order to get a win. They both have shot under 30 percent from the field, and only 1-9 behind the arc. On offense, let Webster find another way to win the game like he did last time. These two things will help the Leathernecks be able to score a win on the road. There are only four more games left in the regular season. They will play one more game on the road, before finishing the year off at home. Western is still looking for their first on the road win of the year, and what better way of getting it by defeating the Mastodons.